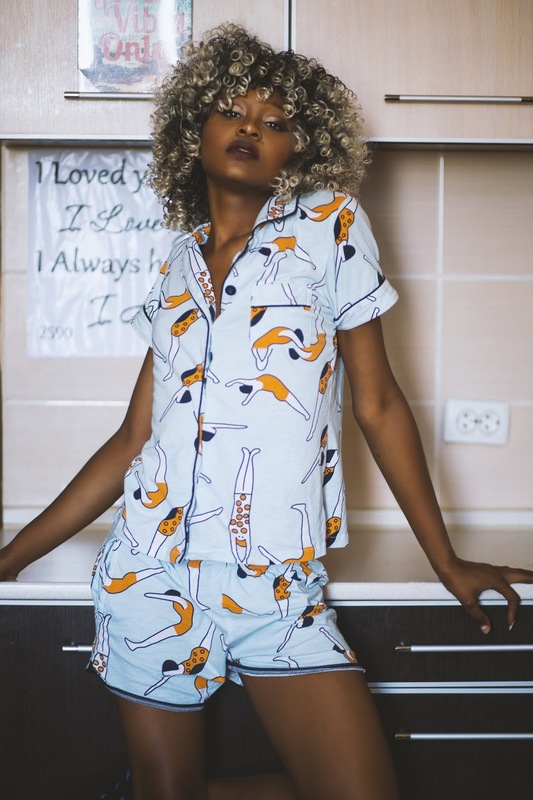 Cute pattern two piece sleepwear suit include a cute swimming posture single-breasted shirt featuring short sleeve and lapel collar detail with a cartoon shorts feature an elastic waist. 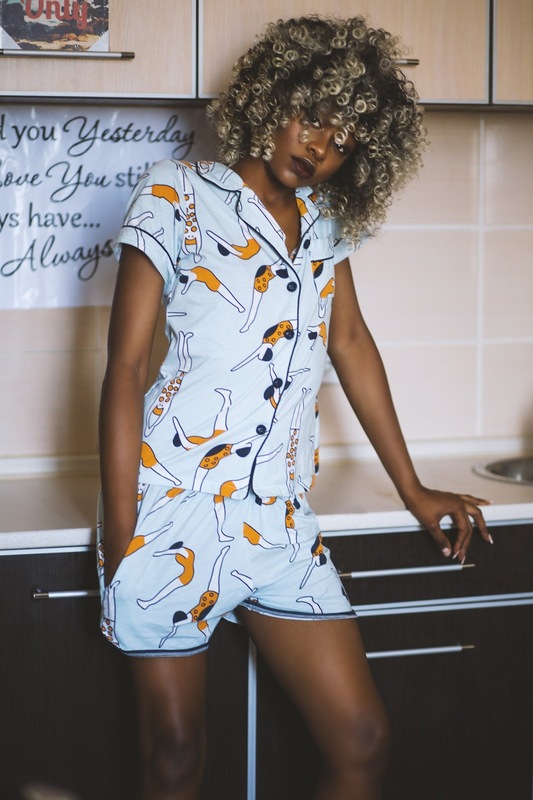 Casual and chic loungewear suit. Package: 1 x Shirt 1 x Shorts.